news 14.07.16: The Swiss Skydive National team training 2016 was held at the ParaCentro, Locarno and supported by the AeroClub. 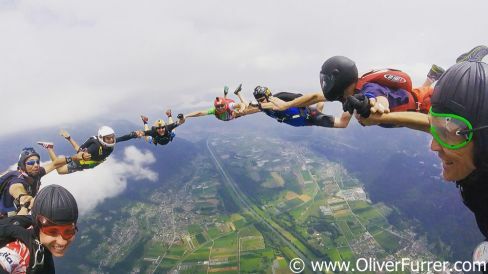 During 5 days all skydiving disciplines had the opportunity to jump from a Military Pilatus Porter and train for their upcoming competitions. 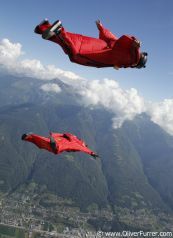 Thereby it was nice to see a male Freestyle team, plus the new Acro-Wingsuit category jumpers.